If you’re like most teachers these days, you probably teach a large number of bilingual and multilingual learners (BMLs, ELL/EAL students). Now more than ever, teachers are required to meet the needs of a very diverse student population, many of whom are schooled in English but speak one, two or more languages at home! While so many teachers rise to the challenge very willingly and creatively, most never receive any training to understand the specific needs of BMLs or the strategies that maximise their success. Back in 2014, we surveyed 10 large international schools around the world to learn more about their practices and resources for BMLs. We found that most schools had extremely high numbers of BMLs—around 80% of the students in the school had varying degrees of English language proficiency. Since most of the schools did not collect enough (or key) information on students’ language backgrounds, a large number of their bilingual or multilingual students were not identified at the time of admission. Since many students appeared to be fluent in English, they slipped through the cracks of identification. Almost all these schools had a designated department with assigned support teachers (ELL/EAL teachers) but the ratio for these specialist teachers to BMLs was an average of 1 teacher for 154 students. The common trend in most of these schools was to provide the greatest level of support to BMLs who were formally identified, and who appeared to have the greatest need. For instance, they were students who were ‘beginners’ or who were struggling more than others. This means that only a small percentage (roughly between 10-25%) of those students were actually receiving active support (e.g. direct monitoring, case management, small group or individualised support). A large majority of BMLs were not able to access additional services. Typically, the support provided ranged from more intensive sessions (daily periods of pull-out classes for individuals and small groups) to regular support (2-3 periods of support either through pull-out or ‘push-in’) and more monitoring-type classes which encompassed one period of support per week (usually one-to-one or small group). Some teachers indicated that support included: pre-teaching curriculum, reteaching class concepts, focusing on language goals or literacy goals. In almost all of the schools surveyed, the support teachers expressed feelings of pressure because they didn’t feel they were able to “do enough” to help both BMLs and class teachers. Summarising, based upon what we found in our target schools, the large majority of BMLs are not getting access to any kind of additional (e.g. enhanced) support. This is understandable, considering the large number of students that an ELL/EAL specialist teacher would be expected to help if he/she had an average of 154 students on their roster or register. We can understood from this glimpse into schools that there needs to be a more ’embedded’ focus of support in schools with large numbers of BMLs. It’s no longer feasible for a very small number of ELL/EAL teachers to meet the support needs of all BMLs in the school. Teachers play a large and important role in the school, as does the administration in targeting the right kinds of supports and initiatives to meet the needs of a large number of BMLs. Going forward, we aim to develop a larger-scale investigation looking into a greater number of schools but from here we’ve described a school-wide model that can be implemented immediately, filling in gaps and focusing on services for students that meet the particular context of the school and BMLs. If the number of BMLs is increasing, how can the identification and academic support of BMLs be optimised? Ultimately, the best available solution that fits each and every context and setting is simply to work ‘smarter’ with school resources, time and people. First, BMLs’ need to be correctly identified and their teachers must be aware of their current levels of English language and literacy proficiency. This then makes it much easier to understand needs and assign services across the school. Right from the administration down to the teachers, having a solid understanding of the needs of your student body can help you plan for impact—across the whole-school priorities and programs to the classroom teaching practices. Since schools all have their own unique contexts and settings, it’s extremely important for them to have done an audit of the languages, cultures and educational backgrounds of their students. This is the main starting point for determining the priorities of the school. For example, schools with high numbers of late-arriving BMLs into secondary can make academic writing a priority and focus for those age groups. They would then need to consider their resources (people, timetabling, etc.) to make this priority happen. Co-planning between an ELL/EAL teacher and a classroom teacher is one of the top strategies that has a very positive impact on large numbers of BMLs. Both class teacher and support teacher come together to go through the teaching plans for a specified period of time (typically a unit plan). At this time, the support teacher then brings his/her expertise to help the class teacher differentiate the lessons on the plan for the BMLs in that class. The support teacher comes to the planning meeting with all the current information on the BMLs within that class, and they help the teacher come up with ideas that meet the needs of all students. Consideration of issues like materials, scheduling and curriculum objectives are taken into account. They may need to use different texts, compacted assignments or an alternative vocabulary strategy but the impact of two teachers planning together in advance not only brings about more creative solutions but it allows them to carefully consider the current abilities of the BMLs alongside specific goals. Also, when all teachers in the school have had training to understand the most effective and impactful strategies, they can also better share their own expertise in these meetings. 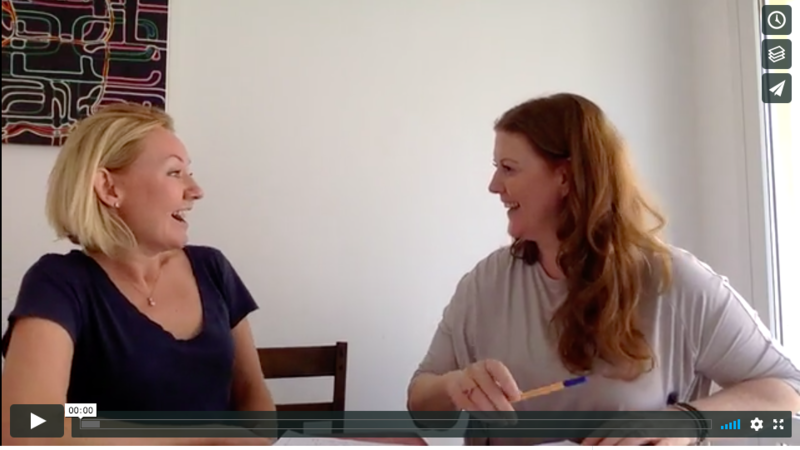 In this video below, watch how Francesca effectively works with teacher Becky in a school in Melbourne, Australia. Together they plan a 4-week unit and differentiate for different levels of bilingual and multilingual learners in the class. During their meeting, they ensure that lessons are comprehensible at students’ varied instructional levels. They also ensure that already-existing, high-level literacy routines are continued and reinforced. Our 8-Week Educator’s Course, Bilingual and Multilingual Learners from the Inside-Out is a solution that provides all educators with the skills, knowledge and expertise they need to help BMLs thrive in English speaking schools. We offer this course for individual teachers and for whole-school professional development. "Getting Results with your Bilingual & Multilingual Learners"
The Ebook is on its way to your inbox! Check your junk folder if you don't see it.